Watch the tropical sunset over Panama City and the Pacific during our weekly bike ride through Panama City’s historic neighborhood and ocean boardwalk. 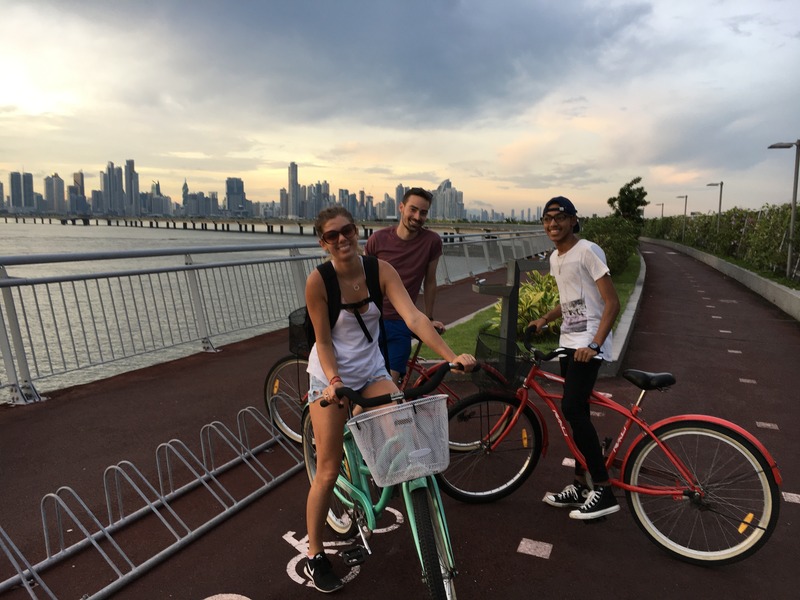 Learn some history about the area and practice your Spanish while you get bike along the water. Every Thursday at 5 pm. Cost: Free for Small Group Intensive Students, $4 for bike rental for others. Family and friends of students welcome!